Rent chateaux in Ballydowny, Ireland. The property is an attractive mid-Georgian house situated just off the Ring of Kerry, five miles west of Killarney. 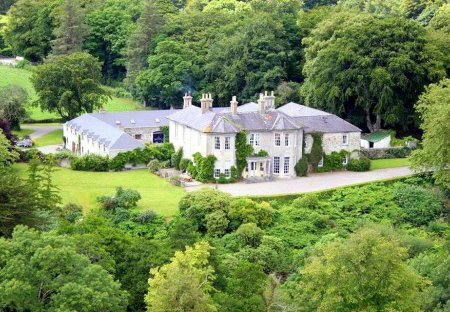 Set in forty acres of woodland overlooking the River Laune.